← P3: It’s more than a podcast! As an Open Education Fellow with eCampus Ontario, I had the pleasure of attending the Open Education Consortium #OEGlobal18 Conference in Delft. It was held within the common areas of the University of Delft where students took it in stride when over 400 open educators from around the globe inundated their space. I’ll thank the organizers for selecting this site since it put students at the forefront of our thinking as we moved from session to session. As we intermingled with students who attend the university, enjoying their foosball games as we wandered into their classroom spaces, our awareness of the students was a subtle reminder of why we were there. This was an opportunity to engage in deeper dialogues with others from diverse settings and fields of study. Few silos or hierarchies were evident. As I navigated into these open streams at the conference, I experienced many course corrections and special docking points. My rich conversations over lunch times and breaks helped debrief or revise my understanding of recently attended sessions. My planned and preselected sessions were diverted as other interesting topics came to my attention through conversations with others. I’m still exploring the conference schedule, re-viewing some of the live streamed keynotetalks, and revisiting the twitter stream (#OEGlobal18) for gems or links I’ve missed. The group of eCampus Ontario OEFellows used the #OEGFellows and #OEOntario hashtags to share our learning and insights as we moved through the conference sessions. There is now a rich repository of information from the conference collected for further reflection. Several blog posts written by other OEFellows explore deeper understandings from the conference, share insights gained and include curated links. Closing keynote speaker Peter Smith stated, “We stand at the nexus of liberty and social justice and that’s a pretty great place to be”. Individual work as an open educator brings forward the agenda for an inclusive, accessible, fair, and equitable education system for all learners around the globe. Paul Stacey shared the state of open education in a graphic that describes where growth is being realized and areas that are currently germinating. This hints at the movement evident in the open educational movement. Each of us stands as one image in a mosaic of moving parts. This is the open education (OE) movement. This OE movement is part organizational and systemic, part incremental individual iterations. It’s a moving landscape with shifting elements going from one direction or another. Our concerted decisions and individual efforts to make things better for others is at the crux of what we do in open education. From the #OEGlobal18 conference, the many faces of open become clearer and the colours become brighter, while the ideas around open education take shape. While the image of OE continues to shift focus it’s the defining terms and acronyms that continue to be problematic. There is confusion and overlap in how facets of open are named. Open educational resources (OER) was certainly one key topic at this conference. Open educational research (OER), supported through the GO_GN networkbrought new ideas to the forefront. Open educational practices (OEP) and open educational pedagogies (OEP) were explored and defined (Cronin, Roberts, Kuhn). Many at the conference discussed and shared open educational policies (OEP) to establish frameworks and engage others in the work of open education. Other key topics focused on innovative tools and applications, as well as the student impact of OE. OK so … #K12 people at #OEGLOBAL18: Let’s ALL meet today at 13:30 at the coffee (left side). Let’s share. Let’s present ourselves and exchange cards. Please retweet to inform everyone involved in #K12 and #OpenEducation. @pgstacey @kmishmael @Wikiwijs @klascement See you soon! UNESCO is in the consultation phase, one of the final stages of an Open Education policy statement that will reshape the picture of OE across the globe. These were all the moving pieces to this #OEGlobal18 conference picture. These connections, collaborations and networks will continue to shape the image of OE for me into the coming year. As I continue to focus on open, shape my understanding and image of open, and keep the moving mosaic in view, I’ll keep Amanda Coolidge’s final reflection in mind. The OEConsortium, Creative Commons Open Education forum, and eCampus Ontario are doing just that – celebrating the good work of individuals, networks and moving mosaics in the global and Ontario open education landscapes, sharing open educational resources and building the network of collaboration to fuel the positive of OPEN. 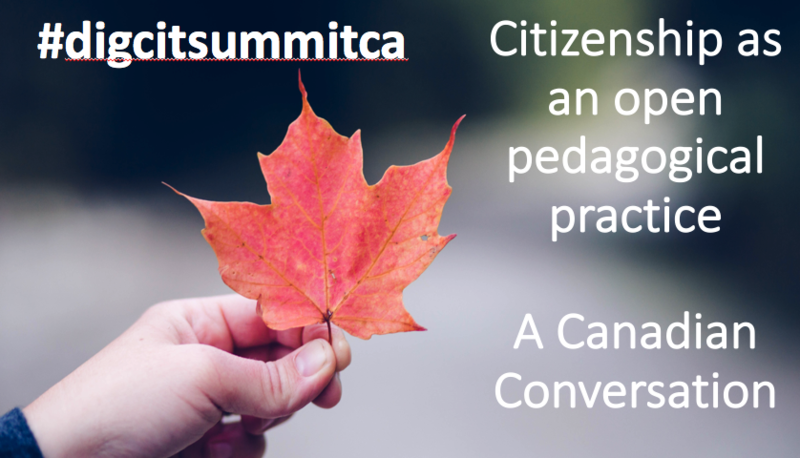 Quote | This entry was posted in #OEOFellows, Ontario Extend, Talking and tagged #OEGFellows, #OEGlobal18, #OEOntario. Bookmark the permalink.